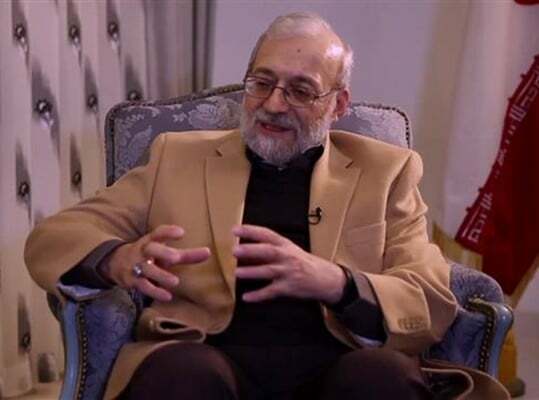 The Western media never let the truth of the human rights situation in Iran be known, says the head of Iran’s High Council for Human Rights. Mohammad Javad Larijani, who is in Geneva to attend the 37th Session of the UN Human Rights Council, told Press TV on Thursday that media reports about human rights issues in Iran, from capital punishment to handling of protests, have always been negative and seldom rooted in reality. As for public protests, Larijani said, the government usually allows such protests to freely take place unless there is a chance that they would turn violent. “There is plenty [of protests] that are not covered by the Western media but those which get violent… yes, it is the obligation of the government to fight violence,” he said, referring to sporadic illegal protests that took place in some Iranian towns last year. The violent protests, that saw some individuals vandalize public properties and target security forces and public service workers, received widespread coverage in Western media and prompted direct support from US President Donald Trump and heads of a handful of other Western countries. Iranian security forces let the protests continue for several days but eventually intervened once they get violent. “Those who incite violence they should be pursued by the law,” Larijani said. Larijani said the West only cares for protests that fit into its own agenda and does not, for example, cover protests by Iranian women against the way they are depicted in the Western media. Asked about Iran’s practice of capital punishment and claims by the UN that the Islamic Republic issues death sentences for persons under 18, Larijani said the issue can be discussed in two levels. First, he said, it was “philosophically unwarranted” to discuss a complete end to the death penalty and, instead, a rational approach would be to limit it to a certain number of “high crimes” that threatened the society. “Ninety percent of the death penalties in Iran are stemming from narcotics-related crimes,” Larijani said. He noted that his organization worked five years with the Iranian parliament and other government and judicial institutions to review the laws and make them more efficient in this regard. UN Secretary General Antonio Guterres is scheduled to present a new report about Iran at the 37th session of the UN Human Rights Council, which began on February 26 and lasts until March 23.